The authority is now moving to peruse those with outstanding Household Charge payments. EFFORTS TO CLAMP down on fuel fraud last year were met with a 5 per cent increase in the number of people buying diesel legally. The efforts are detailed in the Revenue Commissioner’s Annual Report for 2013, which outlines that 30 filling stations and 9 laundering plants were closed down last year following fraud investigations, with 771,232 litres of illegally laundered fuel seized. There are also plans in place for Revenue to work with Her Majesty’s Revenue and Customs to introduce a new mineral oil marker. The report also outlines that the tax collected last year was up 3.3 per cent compared to 2012, an increase of €37.87 billion. There was also a fall of €1.8 billion fall in the amount of outstanding debt owed to Revenue, and audits yielded 11.4 per cent more than in 2012. Some of the main areas audited were Construction (1,078 yielding close to €36 million), Retailers (696 yielding €28.2 million), and Landlords/Rental Property (629 yielding €25 million). 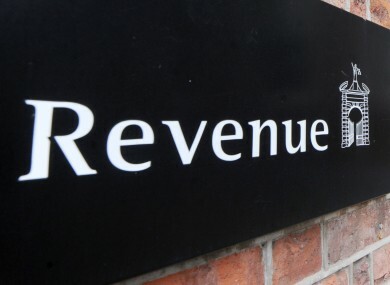 “Since taking on responsibility for Household Charge arrears in July 2013, €7.6 million has been collected in respect of 39,227 properties- the bulk of which has been paid since 25th March,” Josephine Feehily, Chairman of the Revenue Commissioners, said. However, she issued a warning to properties that have not yet paid. Email “Revenue took in €3bn more tax last year and seized 700k litres of laundered fuel”. Feedback on “Revenue took in €3bn more tax last year and seized 700k litres of laundered fuel”.